Violist Boris Tonkov has performed across North and South America, Europe, and Asia as a soloist, chamber musician, and as orchestra member. Born in Bulgaria, he started his music studies on violin at age five in his home town Sofia in the country’s most prestigious music institution for young artists, the “Lubomir Pipkov” School of Music. He went to the United States for his undergraduate studies at the University of Central Arkansas and the Louisiana State University, and for his graduate work at the Yale University School of Music. 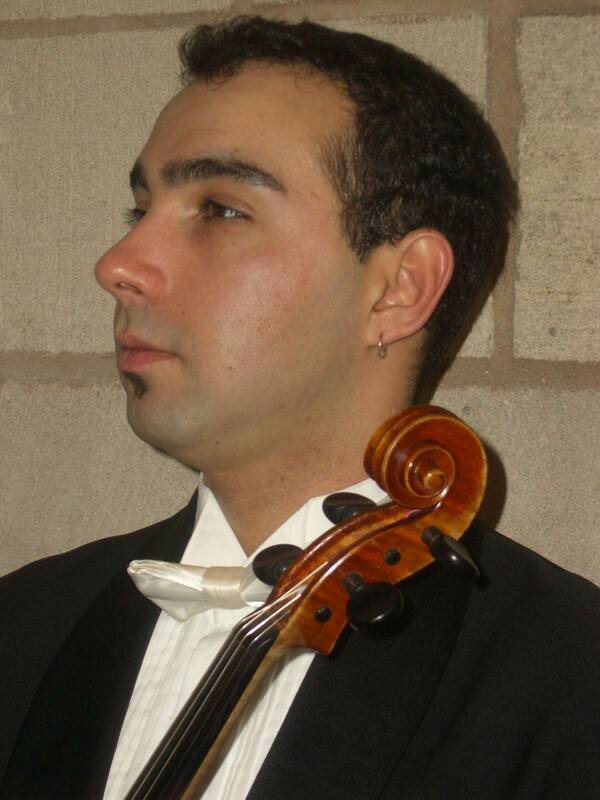 His viola teachers include the pedagogues Jesse Levine, Kevork Mardirossian, and Jerzy Kosmala. His chamber music coaches include members of the Tokyo Quartet, Boris Berman, and Dennis Parker among many others. As an orchestra player he worked with some of the greatest conductors of our time including Lorin Maazel, Zubin Mehta, Kurt Mazur, Claudio Abado, Valery Gergiev. Since 1987 Mr. Tonkov has performed mostly as a violist, though he has made appearances in concert venues as classical, rock, and jazz violinist, mandolinist, and electric bassist. Boris has also been a finalist and prizewinner at a number of young artist solo competitions, including the Erwin Klein International String Competition in San Francisco, the William Primrose International Viola Competition, the Corpus Christi Young Artist Competition, and the ASTA Solo Competition. He has been a featured soloist with the symphony orchestras of the Sofia Music School in Bulgaria, the orchestra of the Louisiana State University, the Louisiana Sinfonietta, the Monroe Symphony, and the Ocean City Pops Orchestra in the United States. Boris’ vast ensemble activities include numerous chamber music performances and long-term collaborations with symphony orchestras around the world. As a teenager he was a member of the Gustav Mahler Youth Orchestra touring all over Europe, and became a member of the Arkansas Symphony orchestra in Little Rock upon entering college. As an undergraduate student in Louisiana, he was a principal violist of the Baton Rouge Symphony Orchestra and Chamber Players, as well as First Prize Winner of the 2000 MTNA Chamber Music Competition. As a graduate student and young professional, some of his activity highlights include annual participations in the Spoleto USA Festival, section positions in the Sao Paulo State Symphony in Brazil, the New Haven and the Hartford Symphony Orchestras in Connecticut, and the Kansas City Symphony Orchestra under the baton of Mr. Michael Stern. He also performed as principal violist in the Waterbury and New London Symphony Orchestras in Connecticut USA. Upon moving back to Europe in 2006, Mr. Tonkov became a founding member of Lorin Maazel’s newly established “Orquesta de la Comunidad Valenciana” opera orchestra in the Palau de les Arts in Valencia, Spain. During this time, he frequently collaborated as assistant principal in the London Philharmonic Orchestra. Since 2011 Boris is a member of the French National Orchestre Philharmonique de Strasbourg.